60 in. 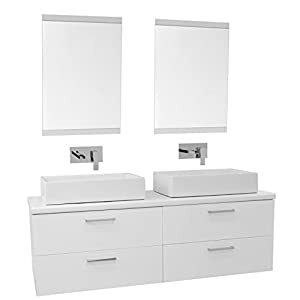 Single Vanity Cabinet in Cottage White | Steam Shower - Bathroom Showers- Infrared Sauna - from SteamShowerDealer.com | SteamShowerDealer is your #1 source to buy designer and comfortable steam showers, steam spas and Infrared Saunas and accessories at discounted prices. Comprises ornamental wooden backsplash. Two door cupboard with shelf area and 6 drawers. Adjustable cushy-shut door hinges. Underneath-mount cushy-closing drawer guides with levelers. Drawer bottoms are coated with brushed aluminum laminate. Dovetail Joinery. 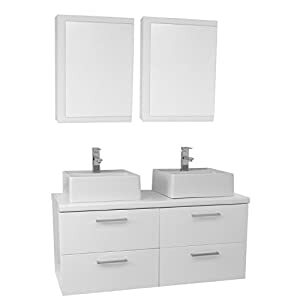 Cupboards are finished inside and outside, with a premium undercoat end for superior moisture and UV resistance. Antique pewter end hardware. Guaranty : Three hundred and sixty five days against manufacturer’s defects. Made out of white oak and plywood. No assembly required. 59.5 in. W x 23.5 in. D x 33.5 in. H (135 lbs.). 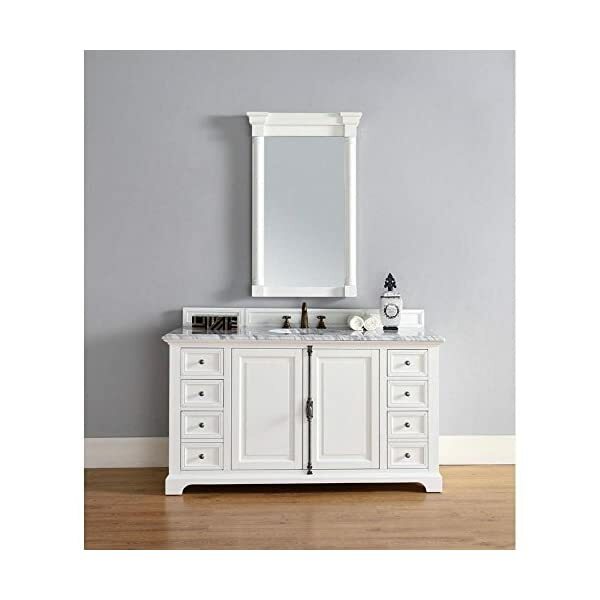 The Providence 60 in., single sink, Cottage White self-importance by James Martin Furniture includes a Plantation Taste take that may take you anyplace. 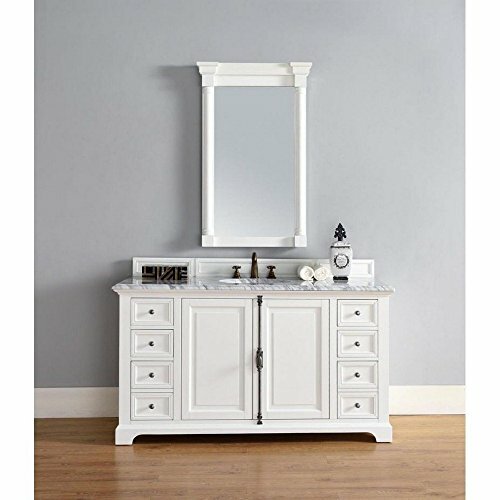 From the beach, to the cottage, to the cabin you’re going to feel at home with this fantastically hand crafted piece of furniture as the focus to your toilet. 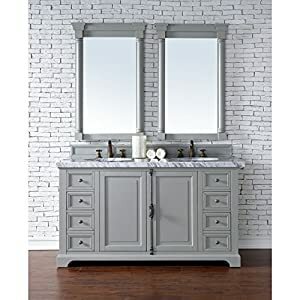 Pewter end Plantation Taste door hardware and drawer pulls beautify two doors, with shelves for storage, and 6 drawers, with the ground drawer on all sides being double height for taller pieces. Matching ornamental wooden backsplash is included.